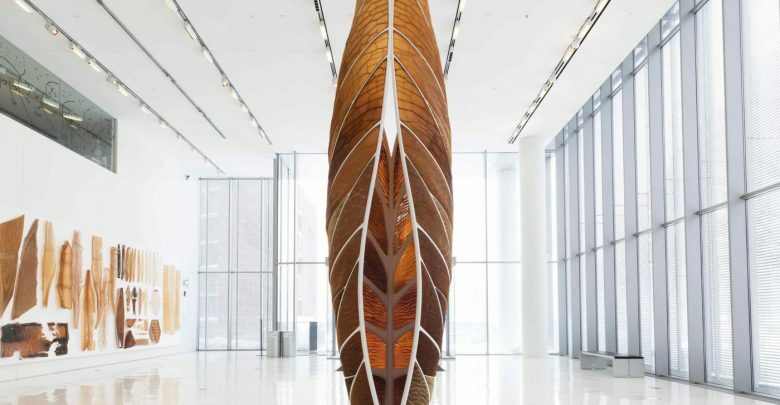 The Aguahoja I pavilion, which MIT unveiled in February 2018 at the MIT Media Lab Lobby, is just the beginning. Their next installation, Aguahoja II, is due to make its mark on May 10, 2019 at the Cooper Hewitt, Smithsonian Design Museum. Hopefully, this sort of project can usher in new designs with sustainable and eco-friendly materials. Featured image courtesy of MIT.